These graceful domes are part of a group of South American spiritual/ecological/yoga villages built in many different countries. 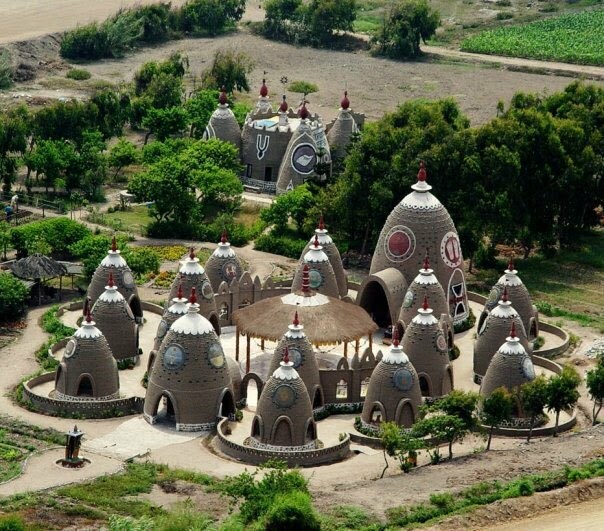 This particular one is from Peru and is called an Eco Truly Village. I believe that they are made with stabilized adobe. You can see many more photos from throughout South America at their website.